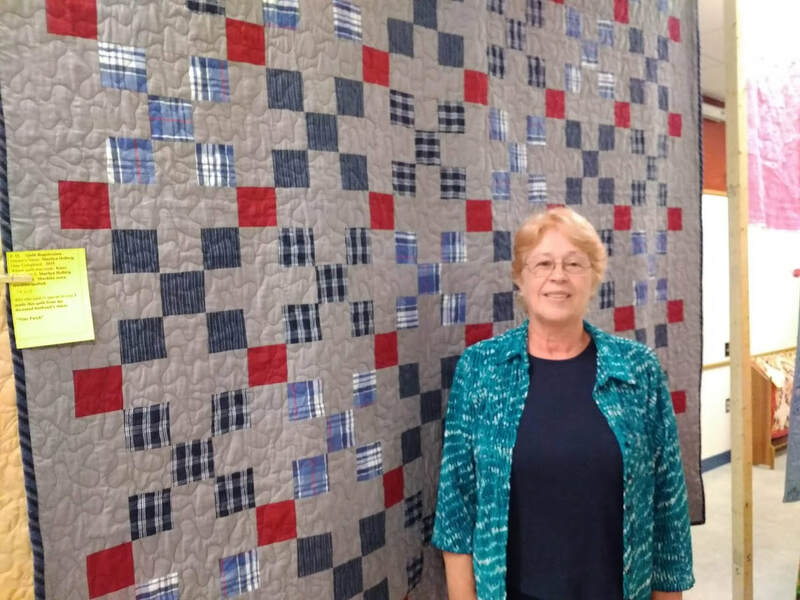 On Sunday, September 16, 2018 the Knox and Berne Historical Societies presented the 4th biennial quilt and needlework show at the Knox Town Hall from 10 a.m. to 4 p.m.
Forty-eight amazing quilts were displayed, each with their history provided by their owners. Some quilts were begun one hundred years ago and the unfinished pieces passed from one family member to another until the item was completed. Other quilts were treasured as gifts passed down through the generations. Present-day quilts were highlighted: some machine-quilted with extraordinary patterns and some hand-quilted with care. The variety of patterns and fabric was beautiful. Thirty-four needlework items were showcased and ranged from exquisite doll clothes to finely-detailed needlework to unique knitted and crocheted items. The care taken with each hand-made item was lovely to see. As an added treat, throughout the day JoAnne Brady demonstrated her “Penny Rug” crafting skills and displayed the variety of items she has made. 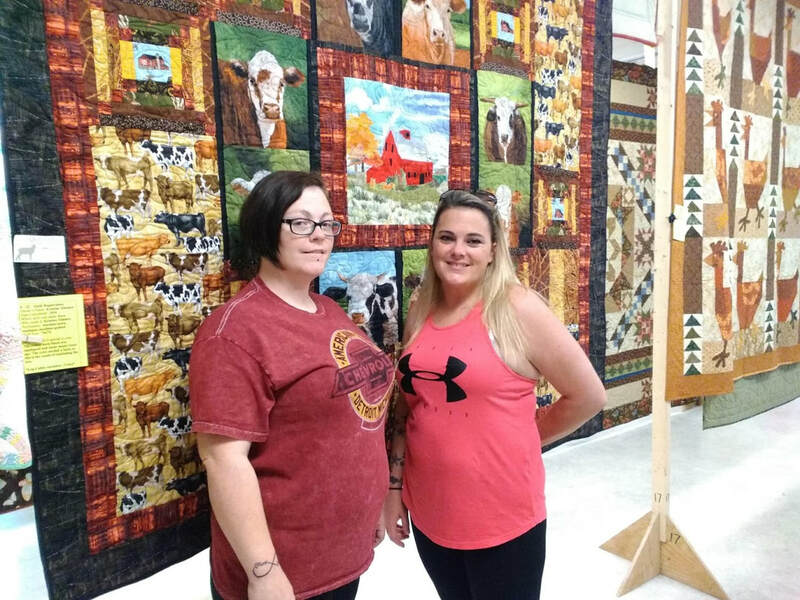 Visitors to the show voted for their favorite quilt and needlework item, but narrowing down a favorite to just one item in each category was extremely hard to do. Ann Hein’s Grandmother’s Flower Garden quilt, made by her Grandmother 100 years ago, was the 1st Place winner. In the Needlework division 1st Place was awarded to Twylla Hughes for her crewel embroidery picture and her counted cross-stitch picture. The Knox and Berne Historical Societies welcomed the chance to highlight the artistic talents of our neighbors and the beautiful heirlooms that people treasure. 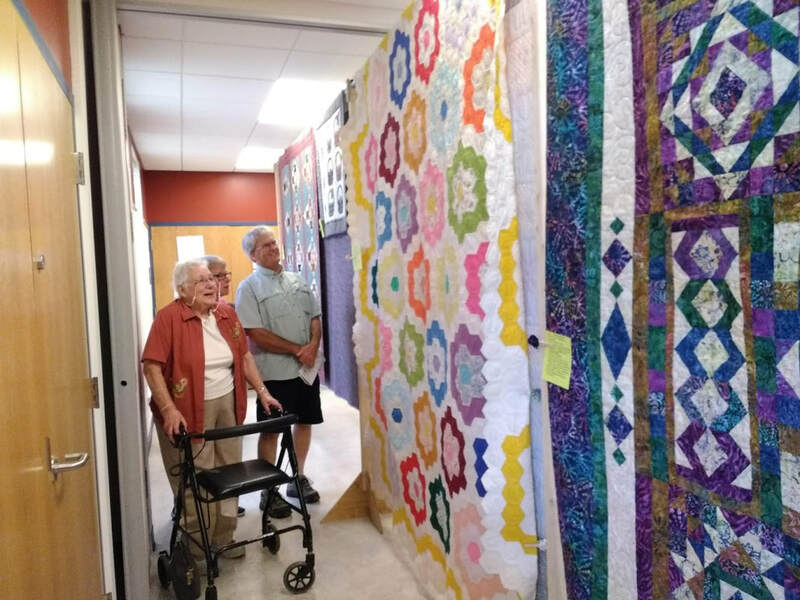 Anna Wolfe and visitor admire the quilts. Ann Hein poses with her Grandmother's Flower Garden quilt made 100 years ago. This quilt received 1st Place in the Quilt Show. 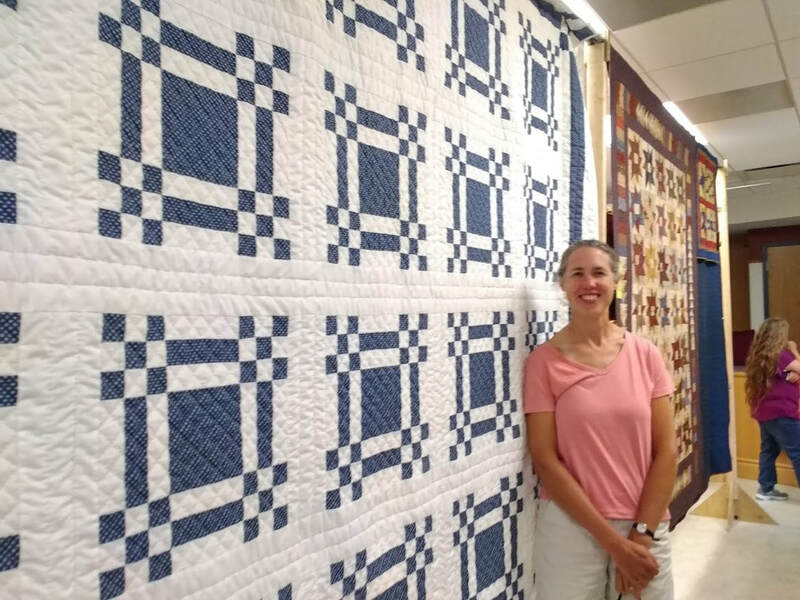 ​Barb Haverly with her Golf Course Panel quilt. Colleen DeMuth won 3rd Place with her Civil War Lucky Star quilt. JoAnne Brady demonstrates the art of Penny Rug making for a visitor. 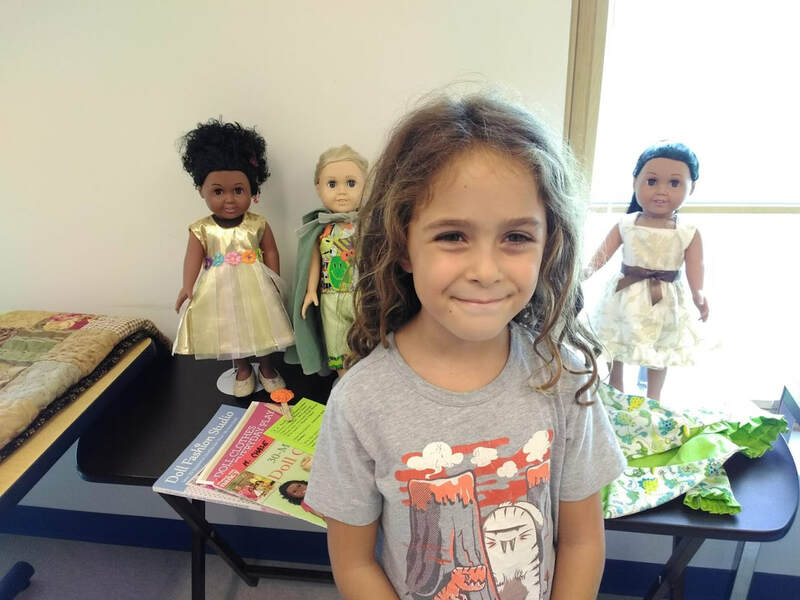 A young visitor stands in front of the dolls with exquisite dresses made by Marie Chase. (These outfits won this visitor's vote for best needlework!) Marie won 2nd Place in the Needlework Division for her doll clothes. Laura Tenney with a quilt she designed from a photograph of her farm. Laura layered and fused strips and shapes of fabric onto a quilt canvas. Visitors admiring Kris Zimmer's "Cow" quilt. Kris machine quilted this with the shapes of cows in the quilting. ​ his mother and his aunts for his mother's wedding. Helen Knight treasures her Grandmother's Flower Garden quilt. This quilt was begun 100 years ago by Helen's husband's grandmother. It was passed on to other family members and Helen quilted it for her mother-in-law in 1970. This quilt received 2nd Place in the Quilt Show. Marie Viscio stands by the quilt she designed for her mother. Marie used the design from a tile floor for her pattern and hand-quilted this quilt for her mother 14 years ago. Twylla Hughes in front of one her favorite quilts in the show. Twylla won 1st Place for her needlework pictures but unfortunately we don't have a photo of Twylla's work. Kathleen Gorczyka with her Block of the Month "Gemstone" quilt. Kathleen used batik fabrics in her quilt. Marilyn Hellwig treasures this 9 Patch quilt she made using her deceased husband's shirts. for his daughter, many of his original design. Ruth Norray with her "Turkey Trot" quilt. 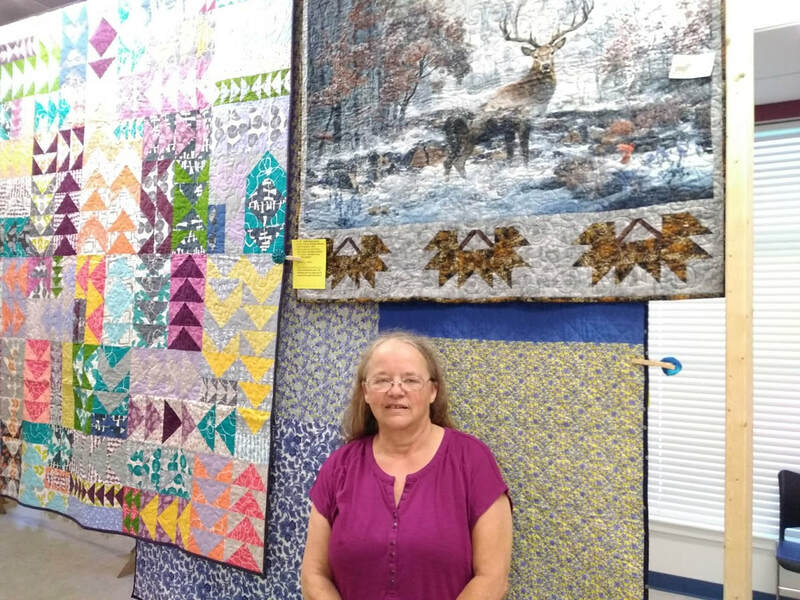 Ruth has taught many quilters in the area over the years. ​her craft of Penny Rug making. 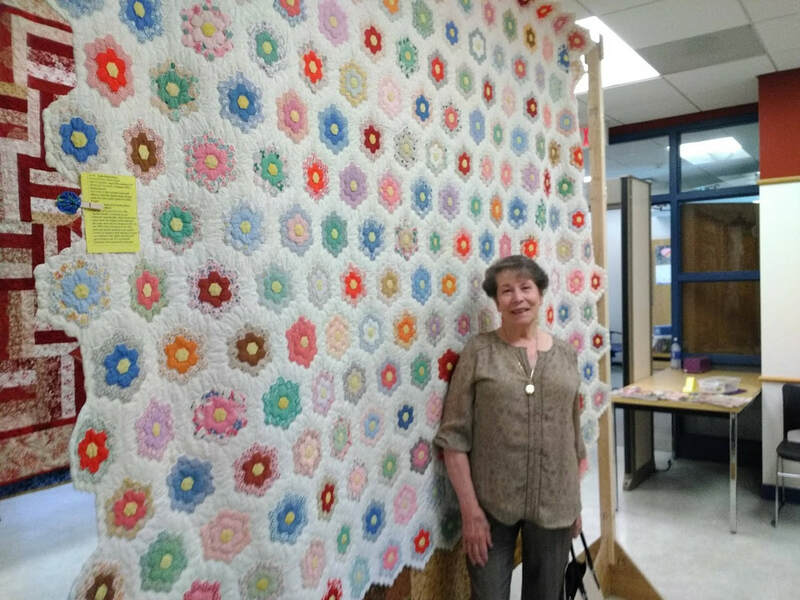 Marion Burghart poses with her quilt that was 35 years in the making. The quilt was begun by her mother and Marion completed the piecing of the top and then hand-quilted it. "4 & 20 Blackbirds Baked in a Pie" is the creation of Sheila Galvin. 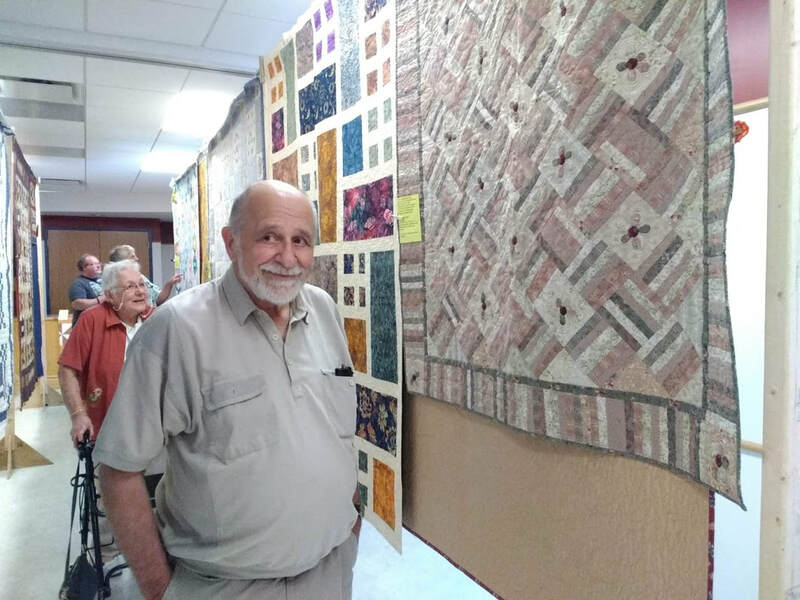 Zarko Levak admires a quilt made by Charlene Stevens. Emilie Wright treasures the "Double Wedding Ring" quilt made by her grandmother and given to her for her wedding. Helen Knight cherishes her quilt begun 100 years ago. A young girl, who had learning problems as a result of meningitis, learned how to embroider different patterns designed by her mother. Helen completed the blocks and hand-quilted it in the late 1960’s.